Have you ever ignored your spouse's text messages? Be warned: it could be used against you in court. A woman in Taiwan has been granted a divorce, using the "Read" indicators on the Line messages she had sent to her husband as proof that he had been ignoring her. The app showed he had opened the text messages, but didn't reply to any of them. A judge ruled in her favour earlier this month. It's called "blue-ticking" - a term that refers to the act of reading but not replying to someone's messages. The concept comes from social media apps such as WhatsApp and Line, which use tick notifications to show when someone has received and read your message. The judge in Hsinchu district's family affairs court cited the ignored Line messages as key evidence of the woman's marriage being beyond repair, ruling that she was therefore entitled to a divorce. 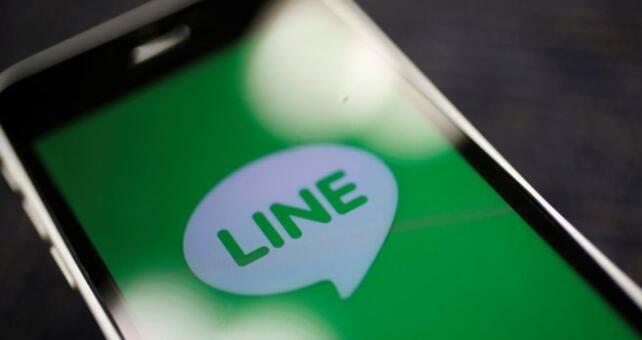 Over a period of about six months, the wife, surnamed Lin, sent her husband several text messages, including one after she was admitted to hospital because of a car accident, according to Judge Kao. In one message she told her husband she was in the emergency room and asked why he simply read her messages but didn't reply, she said. Although her husband did visit her once in hospital, the court found that his subsequent ignoring of her messages was grounds for divorce. "The defendant did not inquire about the plaintiff, and the information sent by the plaintiff was read but not replied to," the court ruling said. "The couple's marriage is beyond repair." A month or two after her accident, the husband finally sent his wife a brief message. "It was about matters related to their dog and notified her there was mail for her, but he didn't show any concern for her," Judge Kao said. "It appears there's very little interaction with the plaintiff; the defendant rarely replies to the plaintiff's messages." The couple had been married since 2012. She is in her 50s and had been previously married. He is in his 40s. Judge Kao said there were additional problems with the marriage. After moving into the home her husband shared with his mother, younger brother, and sister-in-law, Ms Lin had to pay most of the family's bills and other expenses. Her mother-in-law had also asked her to take out a loan to pay her father-in-law's taxes. Her husband did not have a stable income. His family was cited as being "unfriendly" towards her, according to court documents. They would restrict how long she could shower and how high she could turn up the water temperature, the filings say. The ignored Line messages were the last straw, said Judge Kao. "A normal couple shouldn't treat each other like that… The Line messages were a very important piece of evidence. It shows the overall state of the marriage… that the two parties don't have good communication," she said. "Now internet communication is very common, so these can be used as evidence. In the past, we needed written hardcopy evidence," she noted. Ms Lin's husband can file an appeal after receiving the court ruling by certified mail. But it seems unlikely to happen. According to Judge Kao, he has never showed up for a court hearing and hasn't responded to any of the court's other notices. And unlike Line messages, the court can't even tell if he's "Read" them.